In 2017 at Colchester Sixth Form College we set up a space where students and staff could pause and read stories from people who had experienced or escaped genocide. As an act of remembrance they could write a comment or a name onto a ribbon which was then tied to the wire surrounding a large silk flame. 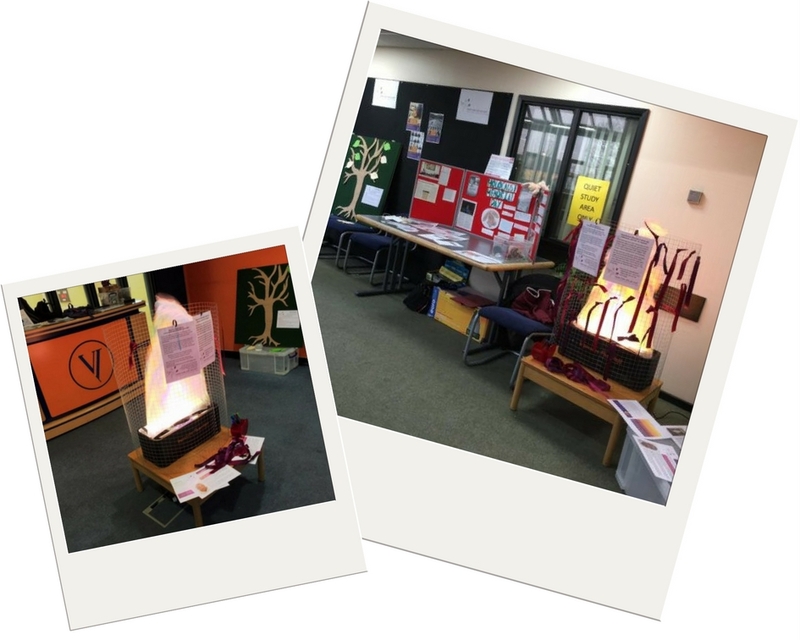 To help students reflect on some of the consequences of conflict and persecution the College “Friends not Foes” student group put together a display about the holocaust and developed a Refugee Rucksack activity. This includes information cards looking at the things people have brought with them in rucksacks as they escape the war in Syria. Students from the Friends not Foes group brought in their own rucksack with items they thought they would take with them if they had to flee and invited others to this about what they would take if their lives were in danger from genocide.